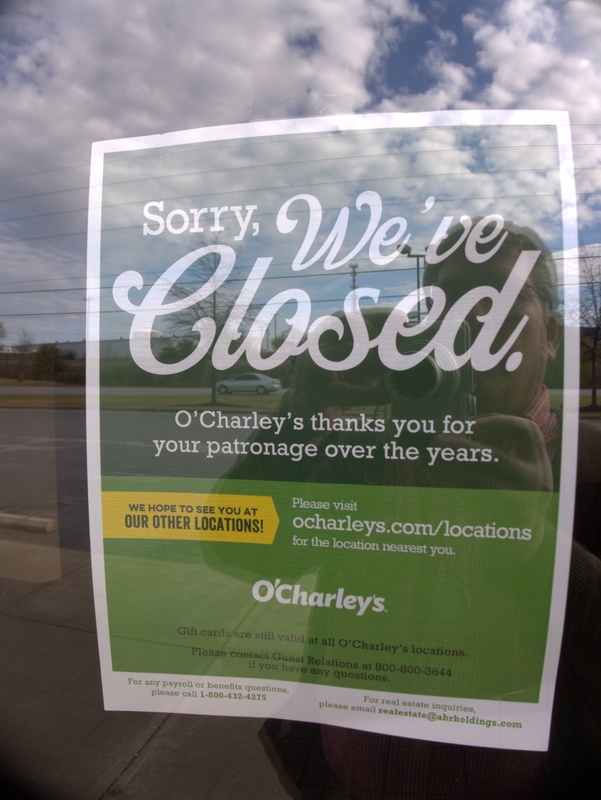 I think the my problem with O'Charley's is that I have never been quite sure what it is. 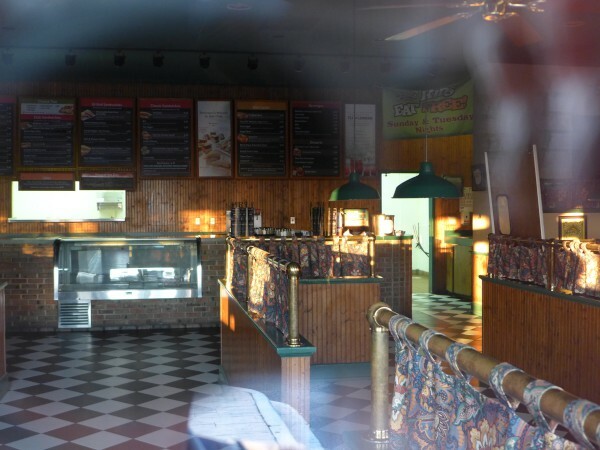 I mean, it's not a fine restaurant, it's not an Italian, Mexican, seafood or hamburger restaurant; it's not homecooking or a diner -- there's a lot of things it isn't but no hook to hang its hat on. 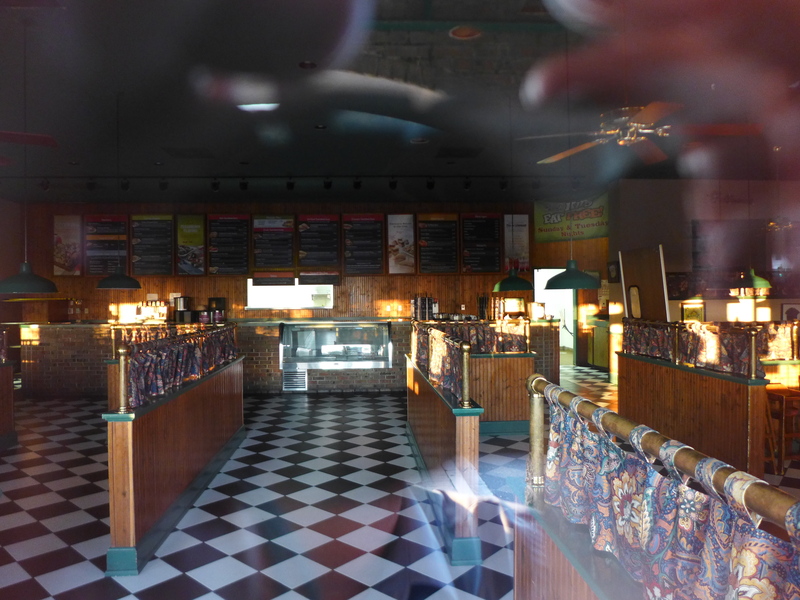 In that way, it is rather like Ruby Tuesday (hmm, even the lyric is appropriate..). 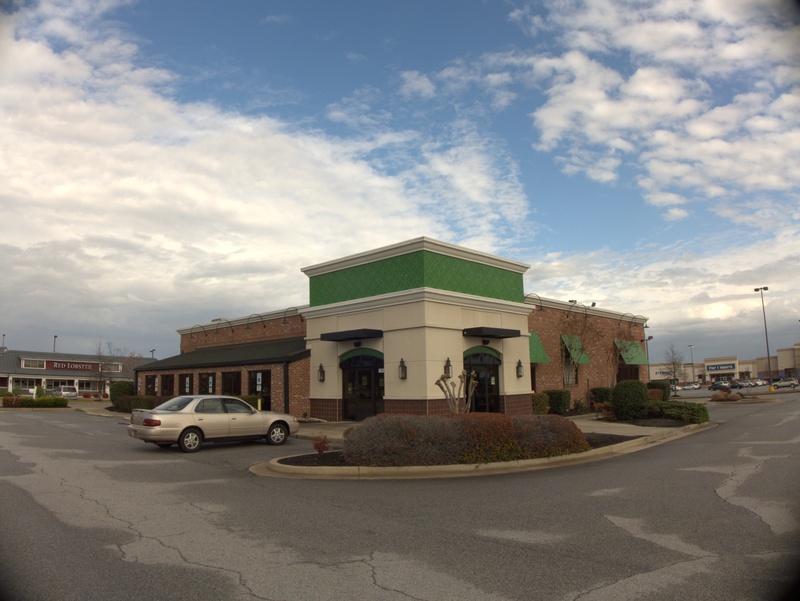 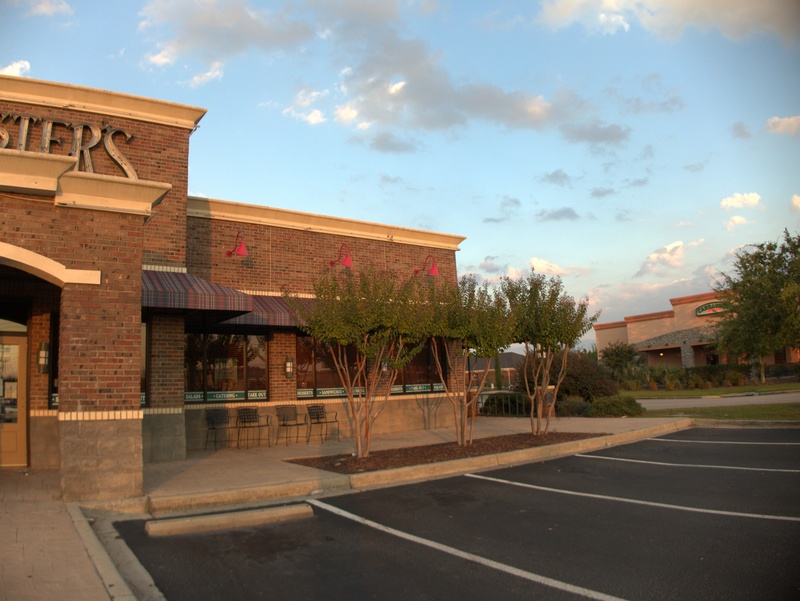 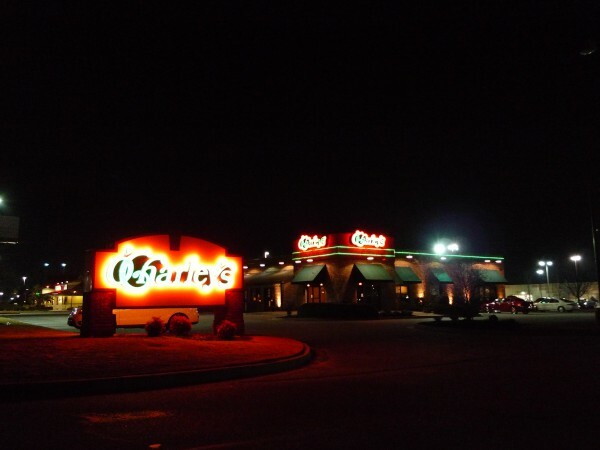 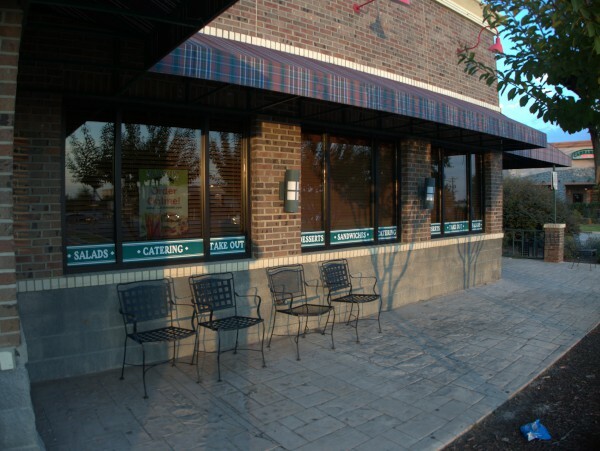 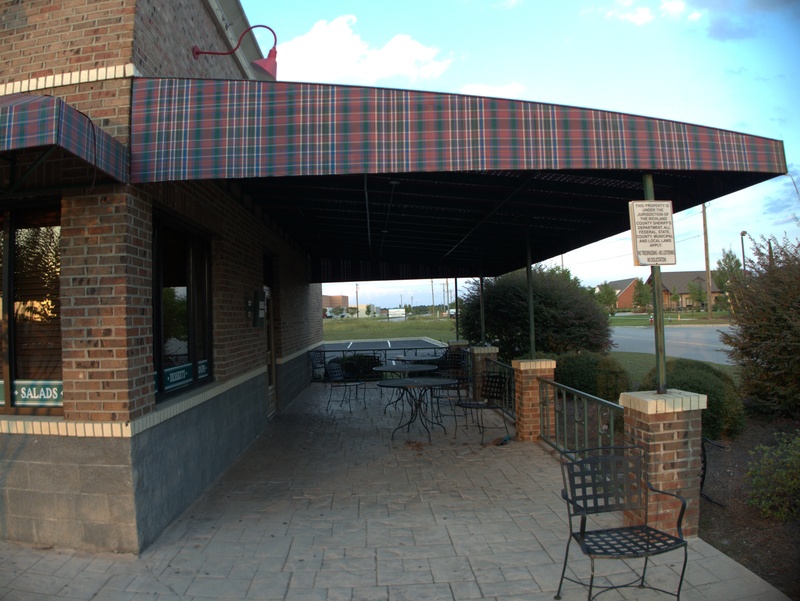 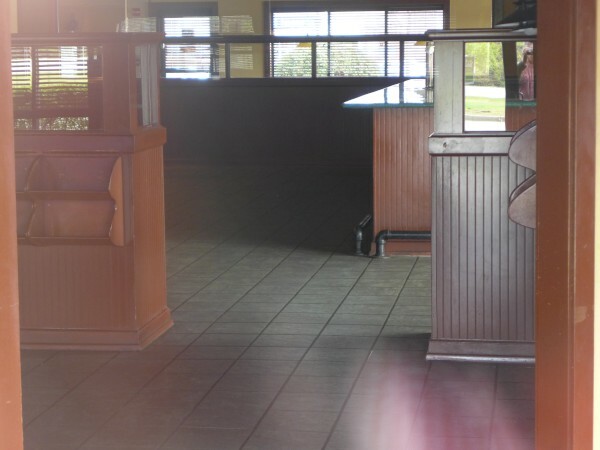 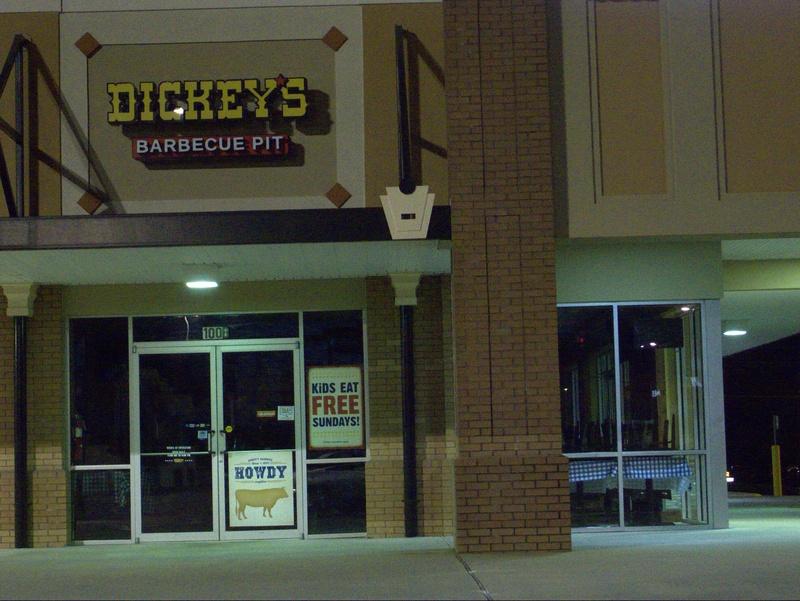 That said, I did used to go to O'Charley's from time to time when I was working in Augusta. 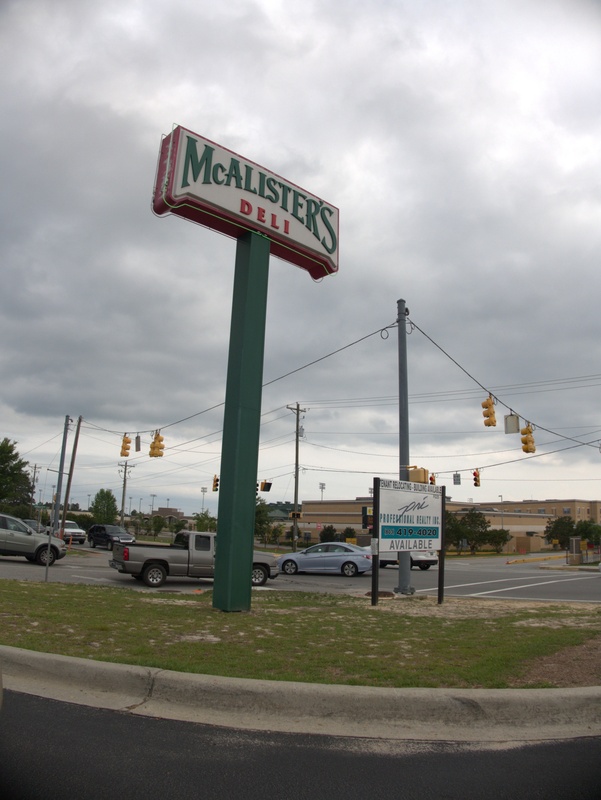 There was (perhaps still is) one just off the Bobby Jones Expressway in what is Augusta's "Harbison" area. 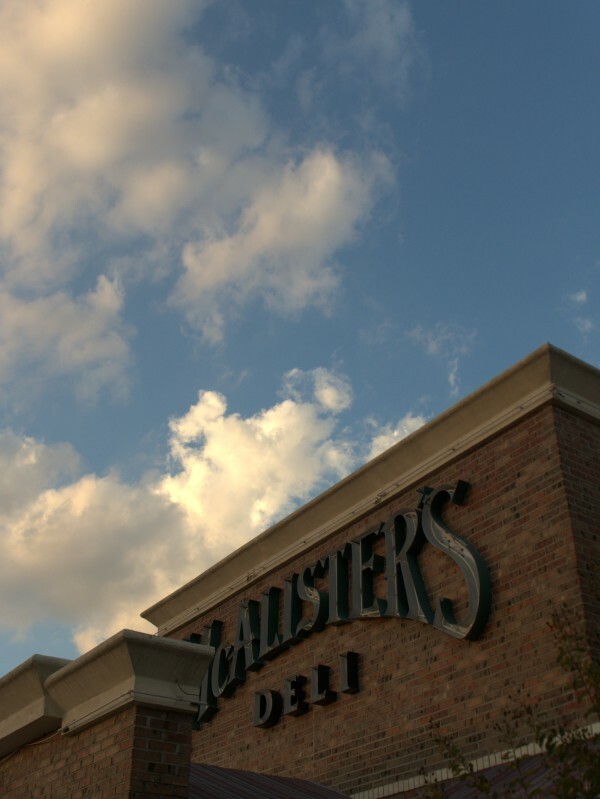 They had a chips & salsa appetizer with in-store-made salsa that was quite good, and the burgers were decent. 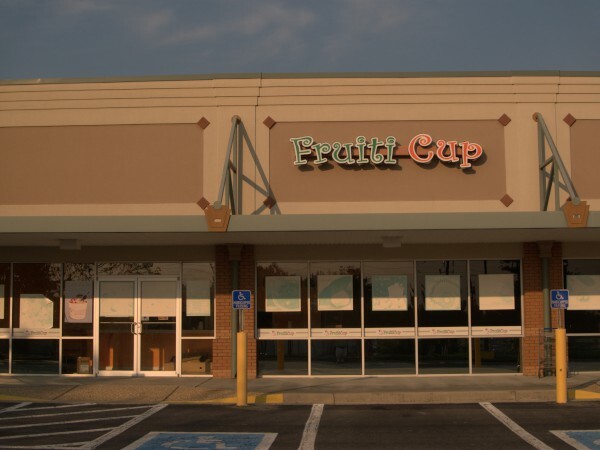 When this store opened at Columbia Mall and I was in town for the weekend, my sister, father and I would eat Sunday lunch there from time to time. 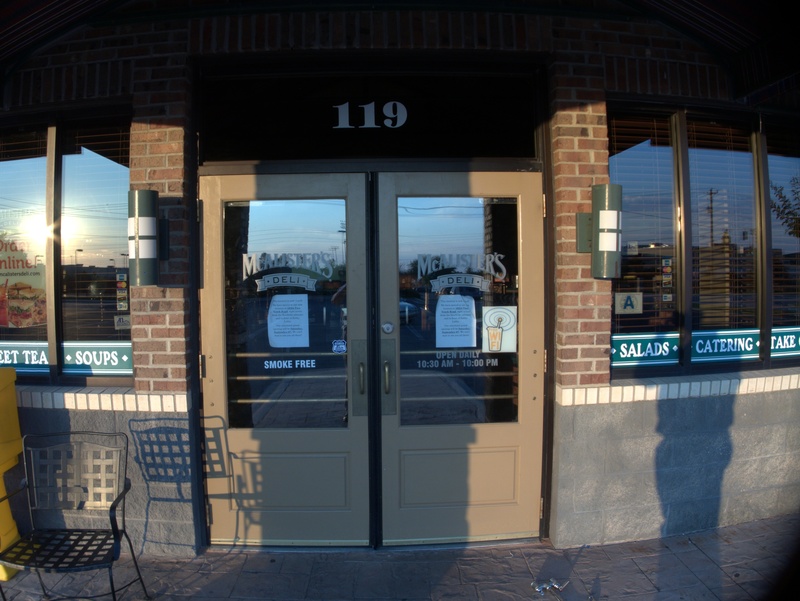 After the store moved to Sparkleberry, I only stopped by once, and found that the chips & salsa appetizer was off the menu, and furthermore, they were out of burgers -- I left without eating anything, and didn't go back. According to The State the chain closed this store because it was underperforming, and near the end of its lease. If the concept couldn't perform here, or or in Harbison, it's hard to think where it could, although so far the Lexington store is still with us. The first picture was taken several years ago. 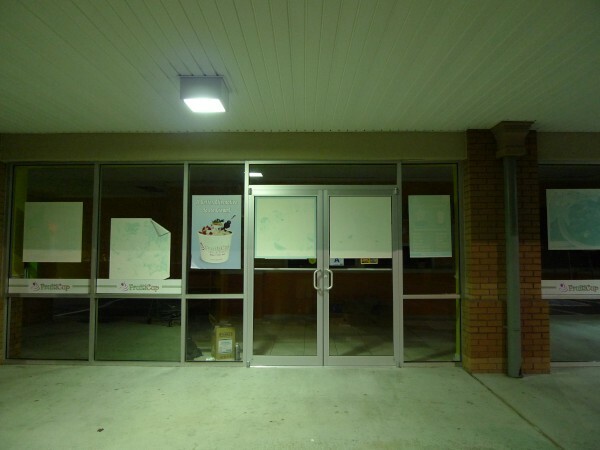 I was admiring the way the sign looked at night and stopped to take some pictures, but in the event they didn't turn out well because the lighting made the sign over-exposed and the rest under-exposed, and I didn't want to set up a tripod and try for bracketed exposures for HDR as I would be a highly visible person doing something very questionable looking on a busy road. The rest of the pictures were taken after the closing, although I will need to go back eventually and get out of the car for some closer looks. 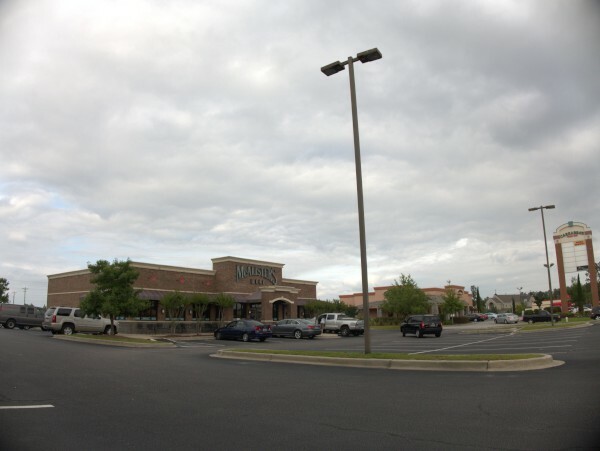 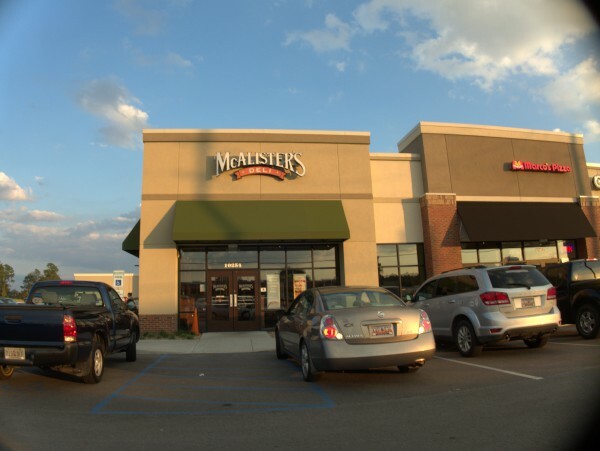 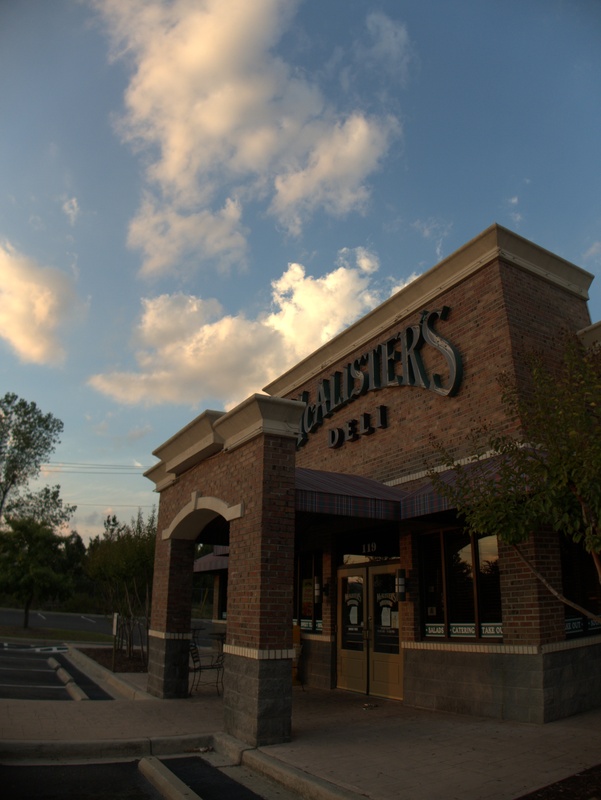 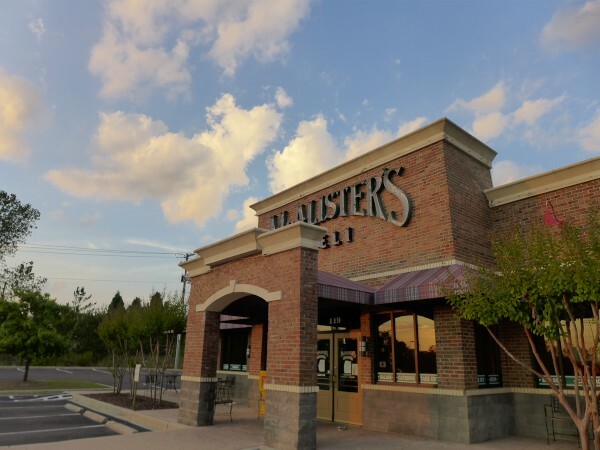 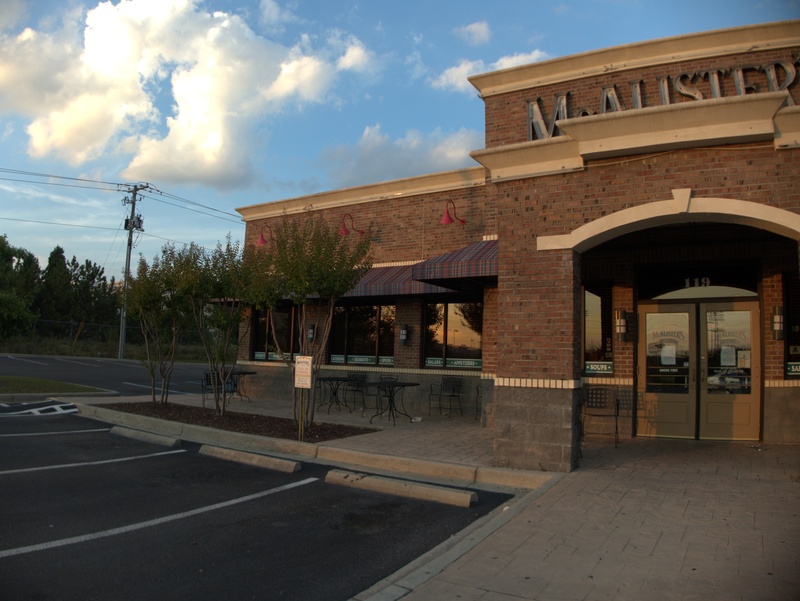 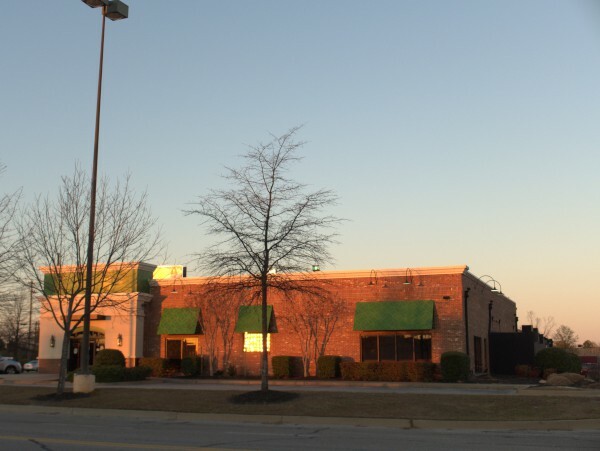 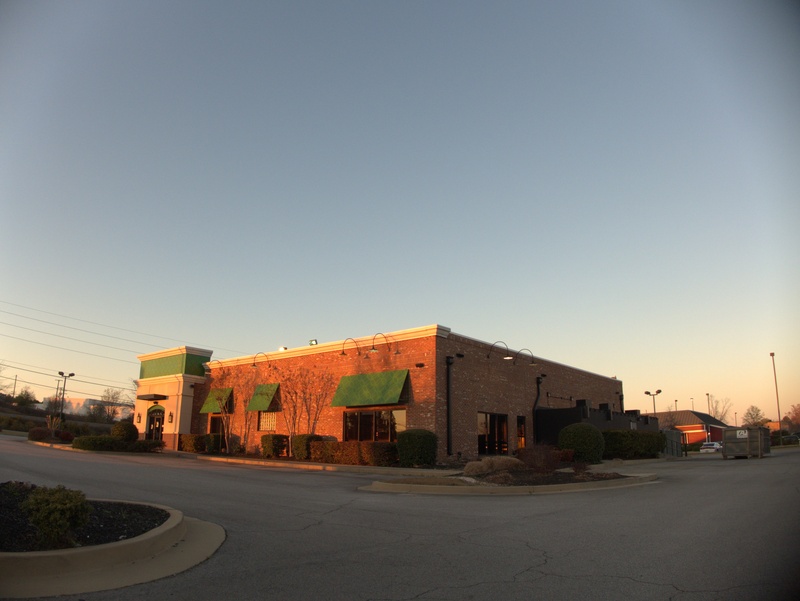 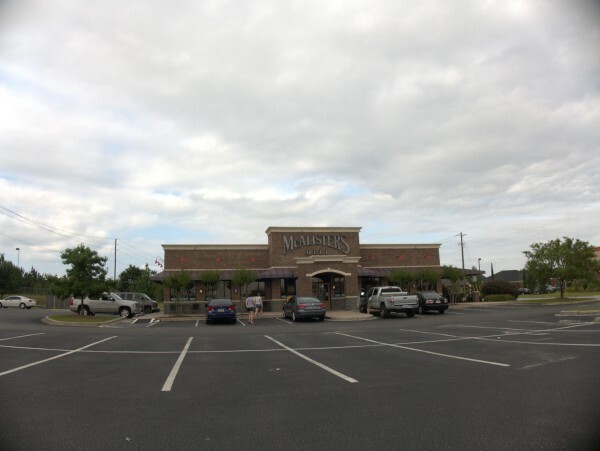 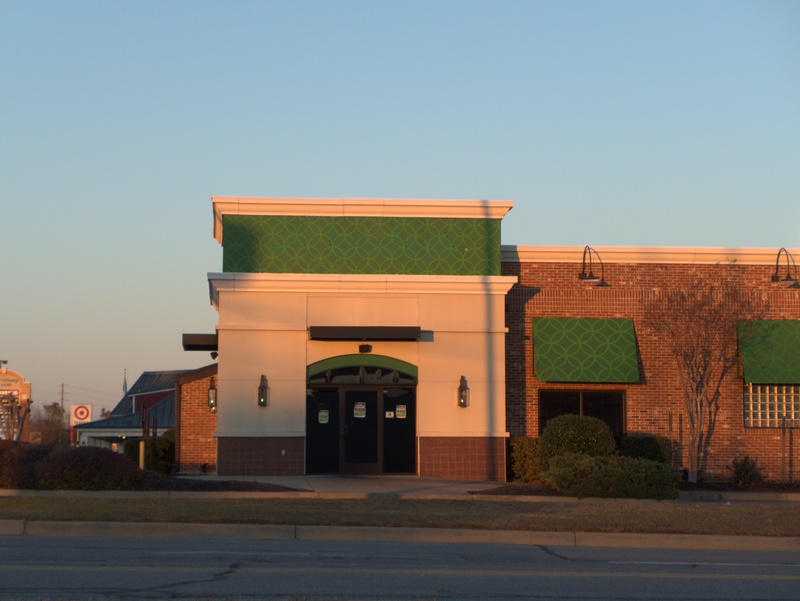 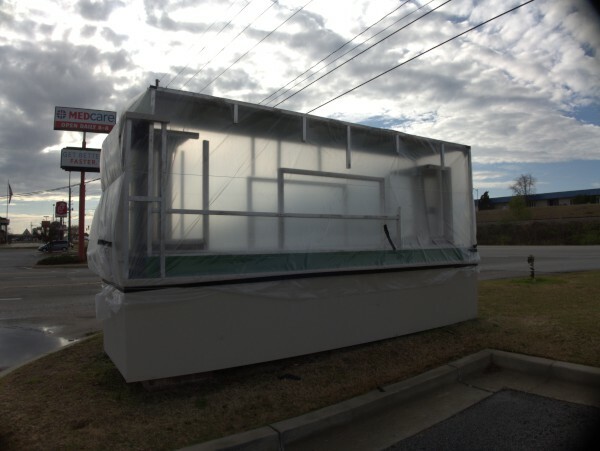 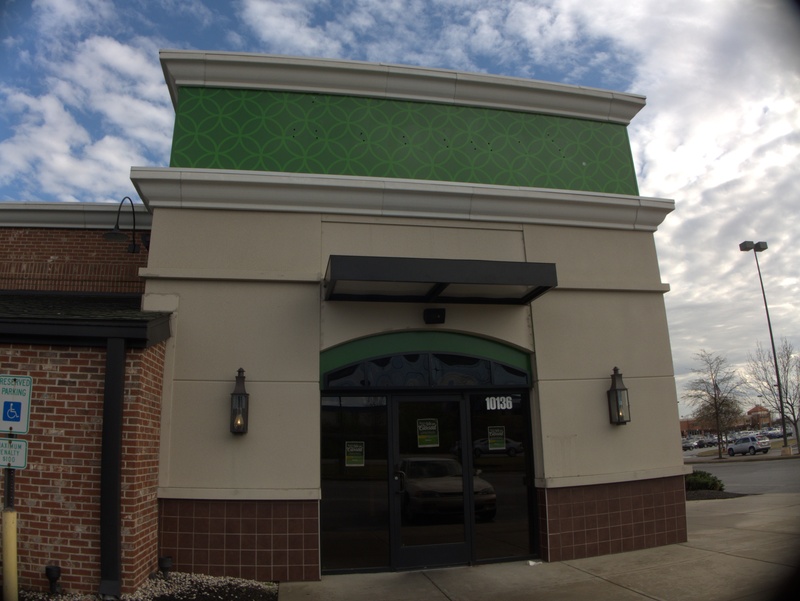 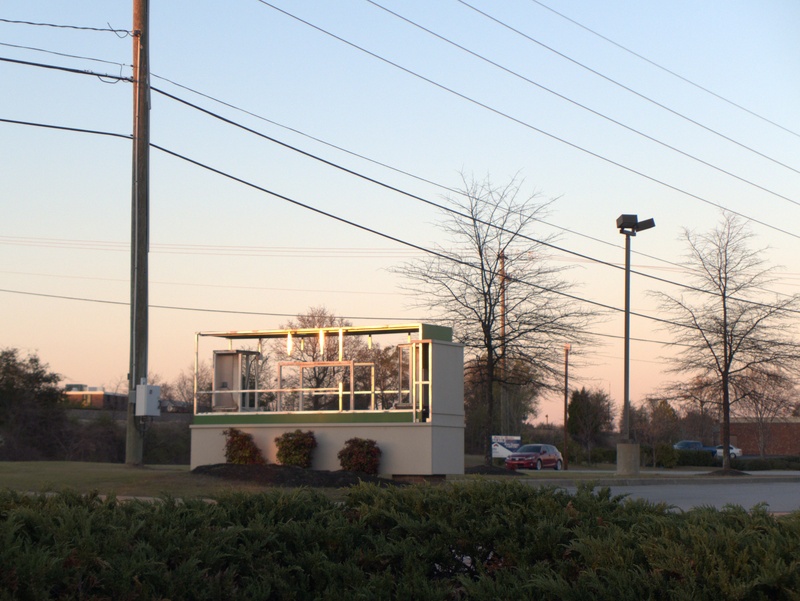 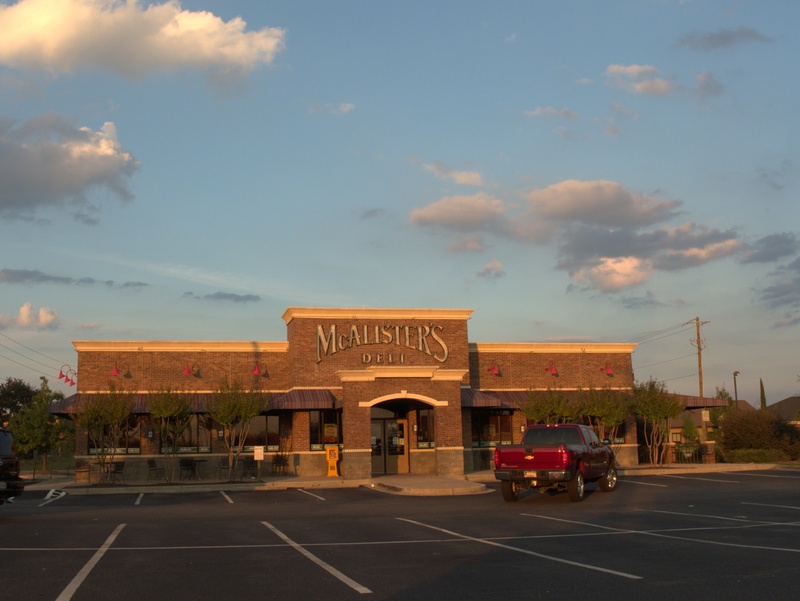 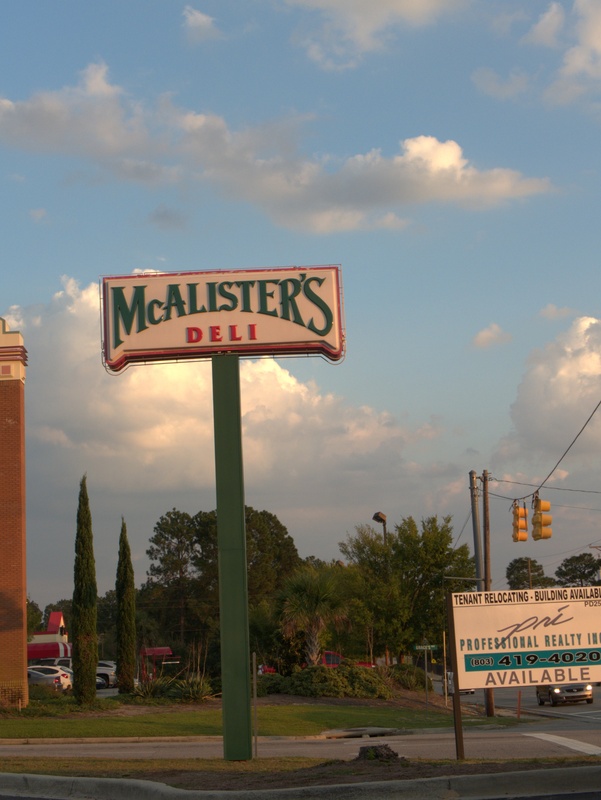 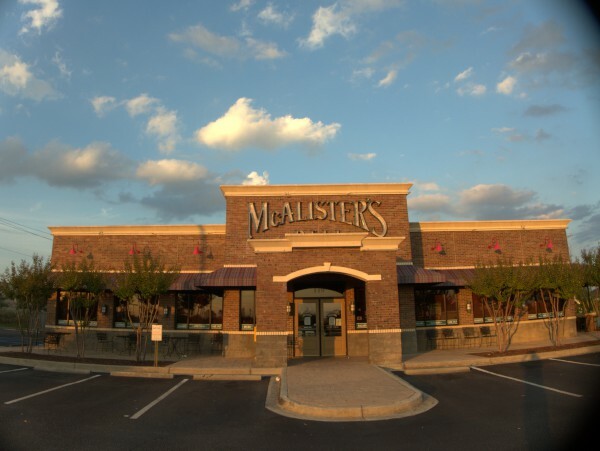 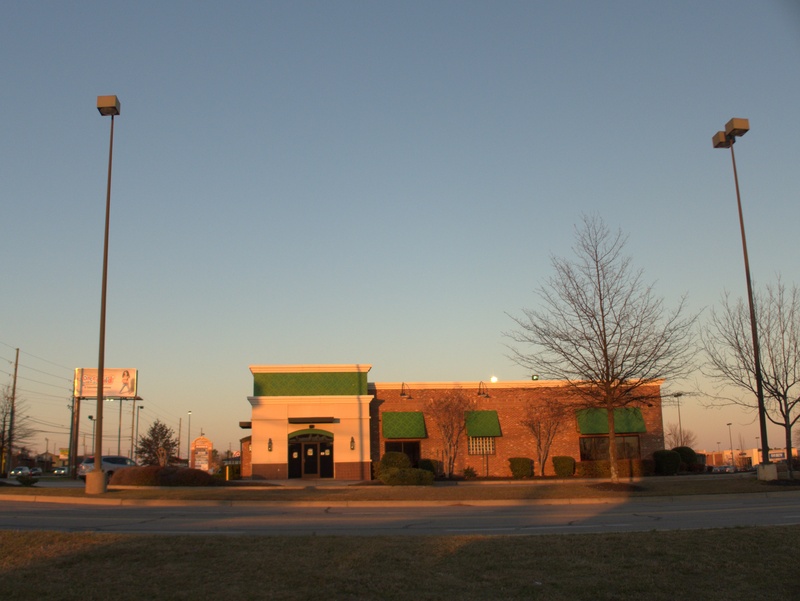 Commenter Bobby notes that this McAlister's Deli at the corner of Sparkleberry Lane and Graces Way will be moving down Two Notch soon to set up shop by Hobby Lobby. 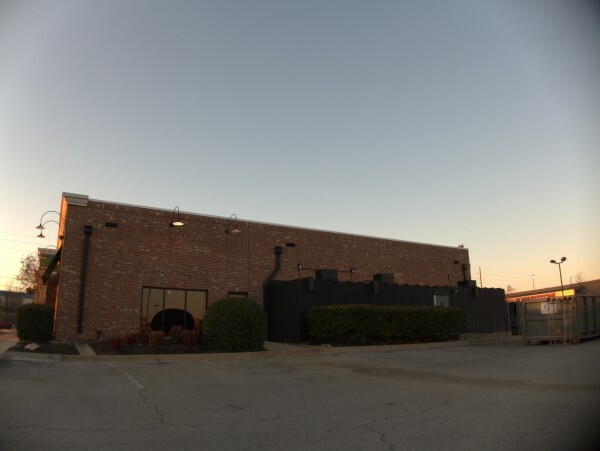 If I am reading this historical listing right, then the property has been sold once in the last couple of years already. 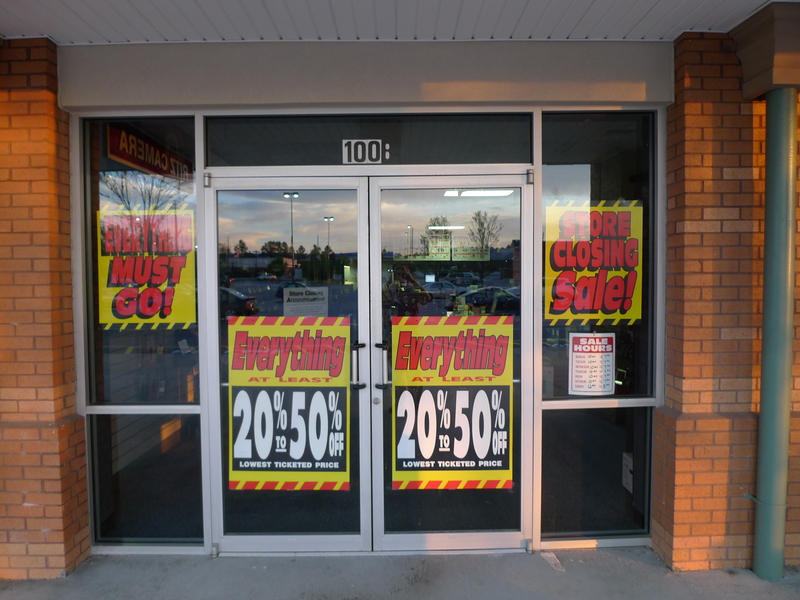 (If there's a more current listing, google is not making it obvious to me). 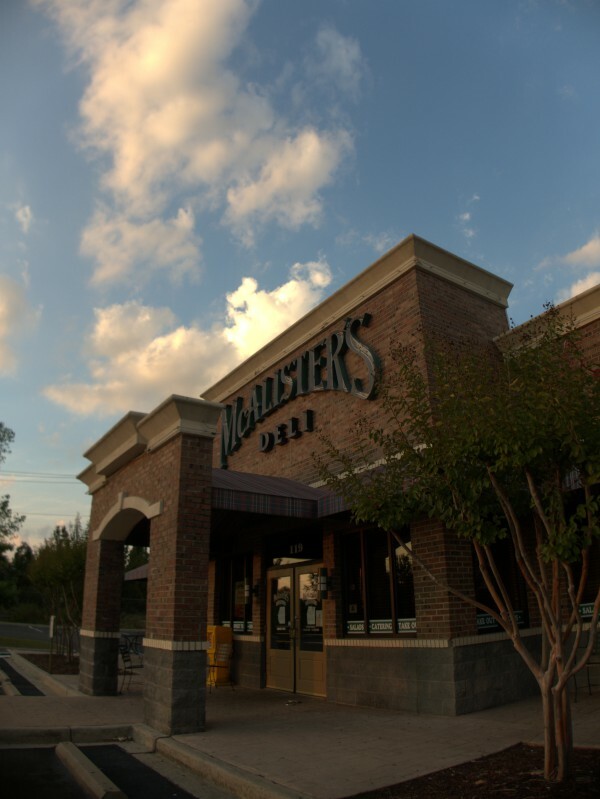 As I think I have mentioned before, I have never really warmed up to this chain, possibly because you have to go to the counter to beg for drink refills. Here's another closing in Sparkleberry Square. 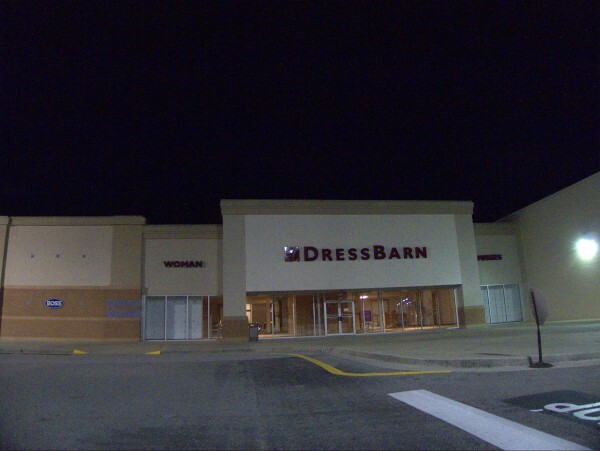 I can't say much about Dress Barn other than they sell women's clothes, and I always thought it was an iffy name ("that dress makes you look like the broad side of a barn"). Interestingly (or not), Sparkleberry Square has now flanked Kroger with clothing closings, men's to the right of Kroger and women's to the left. 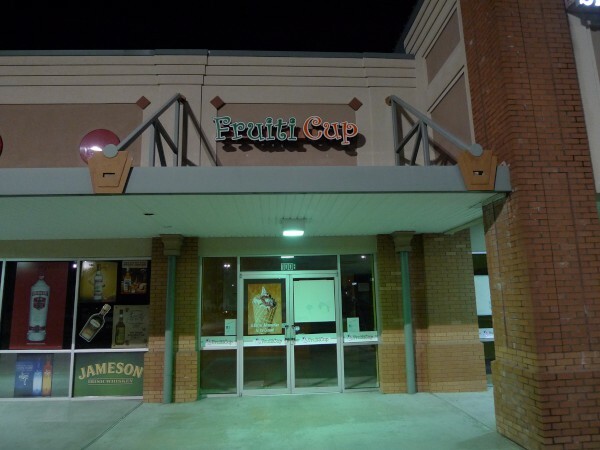 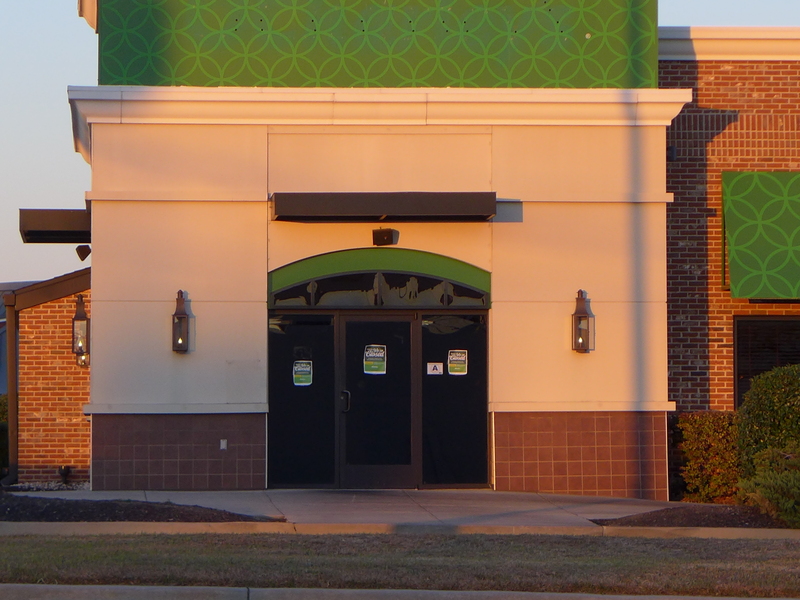 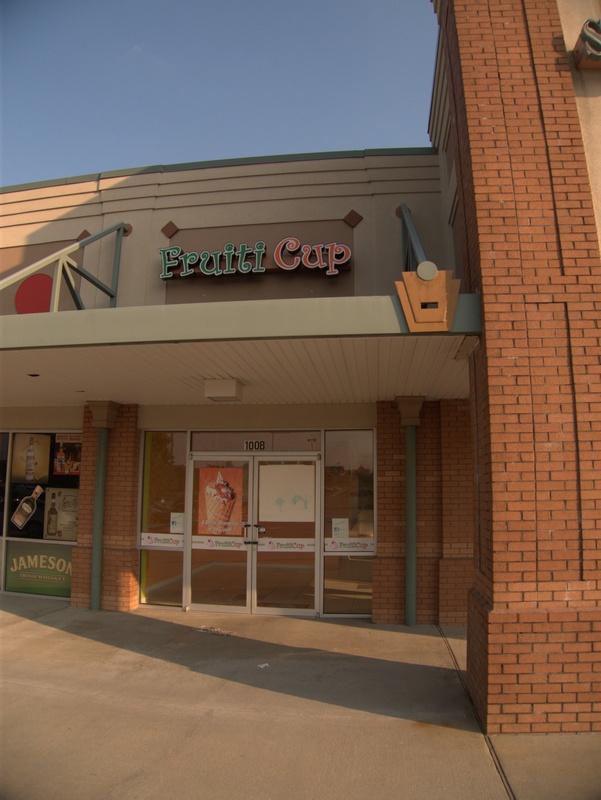 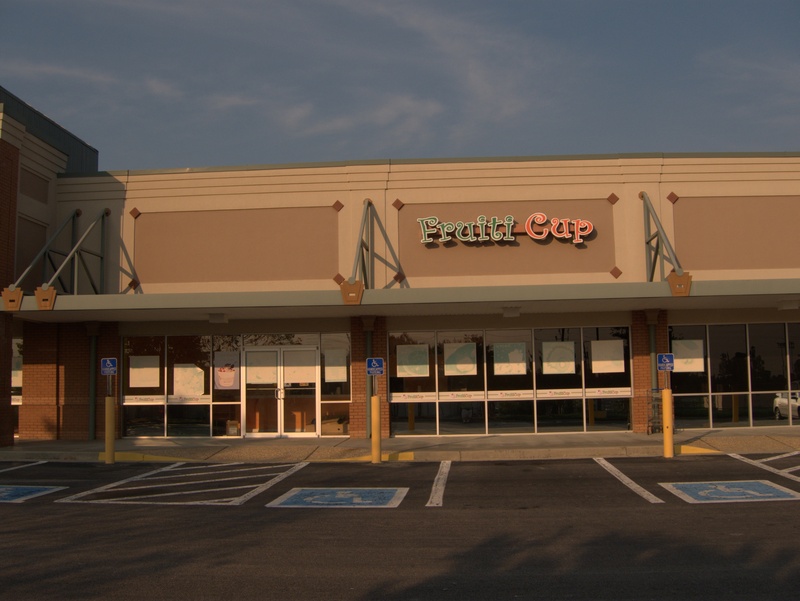 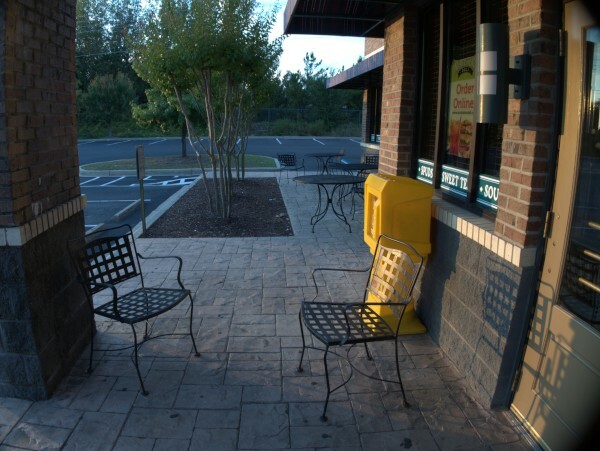 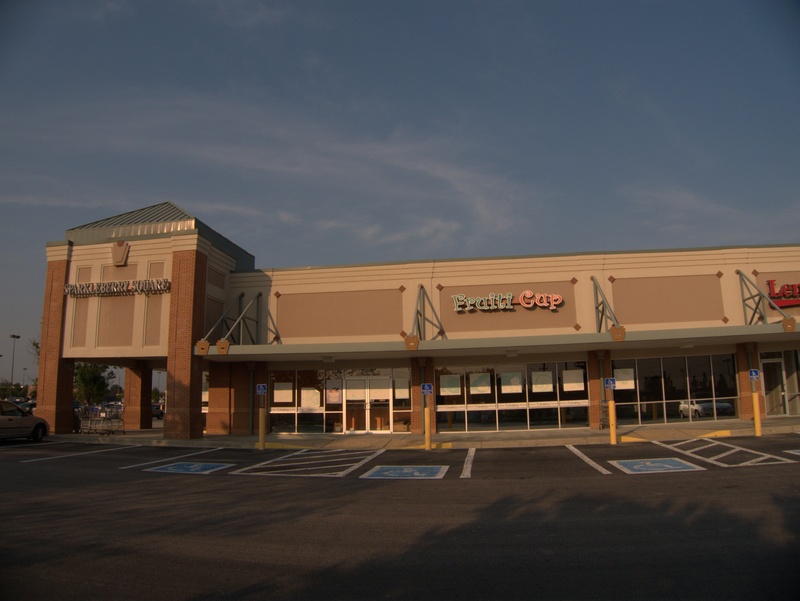 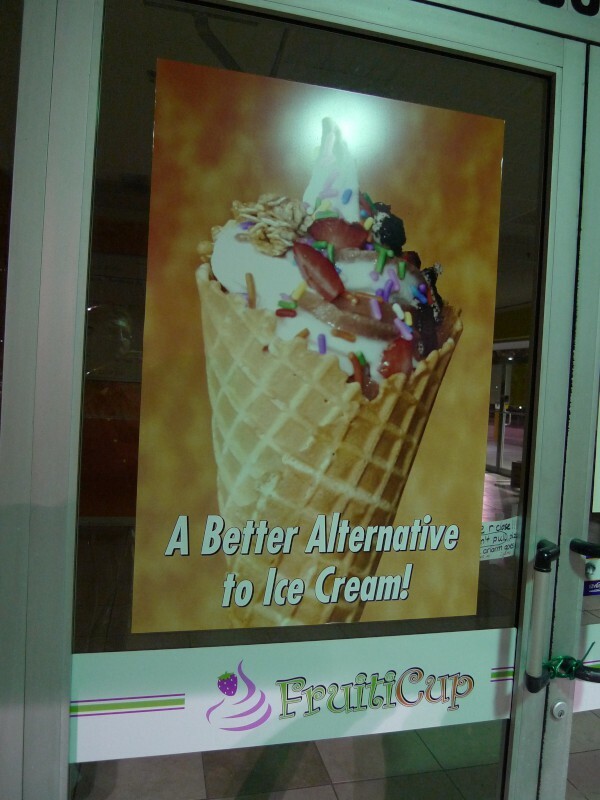 Noticed Monday night as I was coming out of Carrabba's that Fruiti Cup frozen yogurt in Sparkleberry Square was gone. 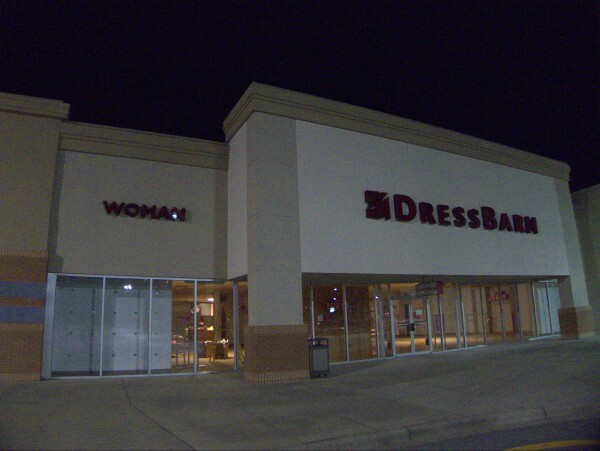 Well, actually that's not quite accurate because I never knew it was there first, and I couldn't completely tell if it were going out or coming in. 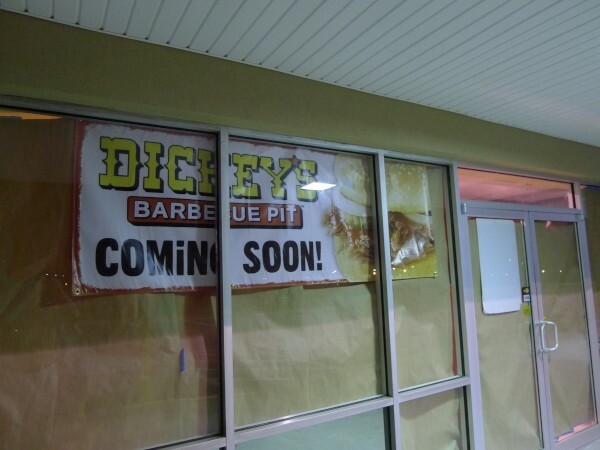 A little googling established it though, and puts the date sometime after 3 August. 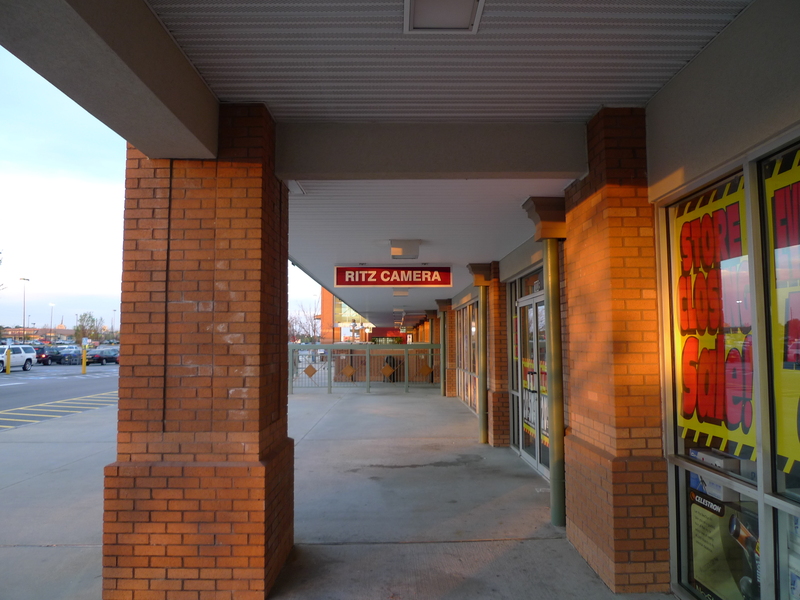 This spot was originally, or at least previously Ritz Camera, and this closing adds one more to Sparkleberry Square's list. I probably should read The State more often than I do.. Village at Sandhill developer Alan Kahn has been tapped to breathe new life into Midtown at Forest Acres. And his first act will be to give it back its old name - Richland Mall. 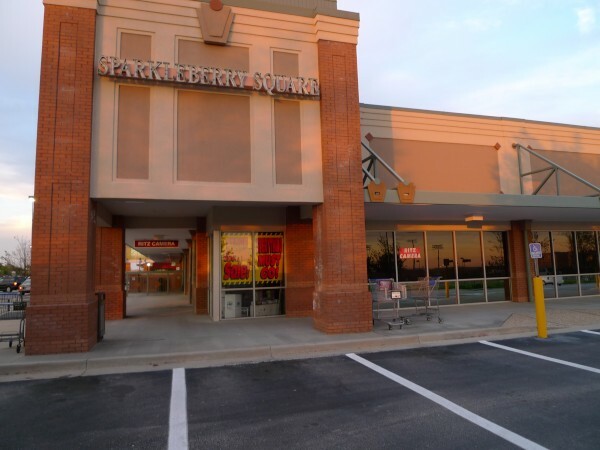 Kroger on Two Notch Road at Sparkleberry Lane is no longer open 24 hours. 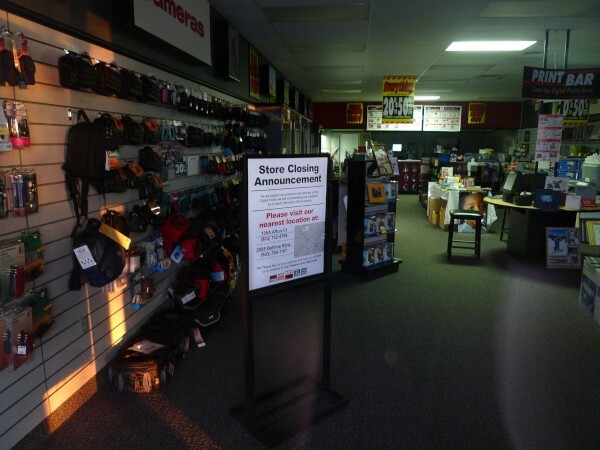 The store reduced its hours last week to 6 a.m. to 1 a.m. daily. Other stores in the Columbia area will remain open 24 hours. 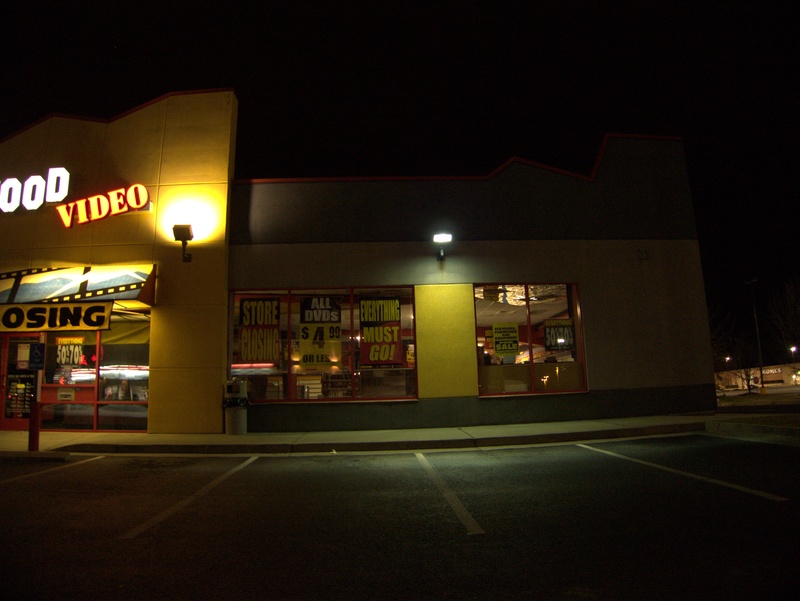 The chain reduced hours at some stores so they could continue to offer low prices during a difficult economy, a spokesman said. 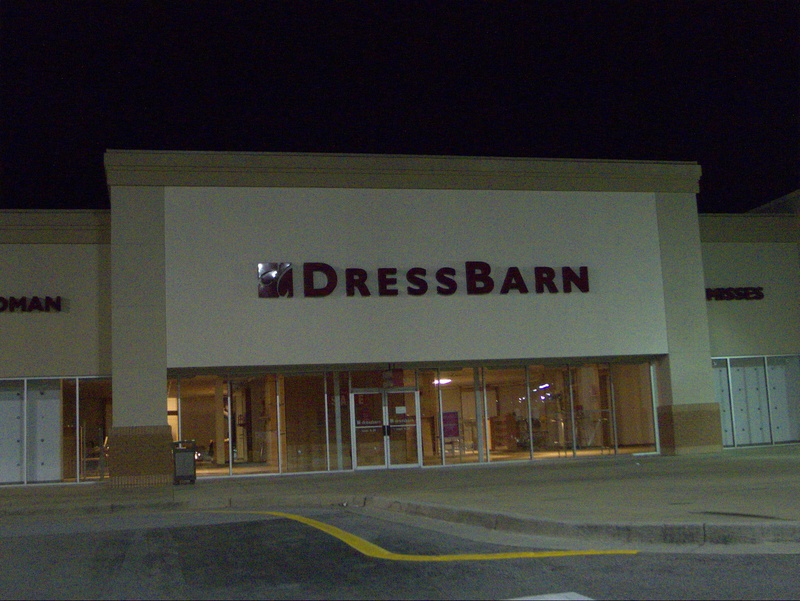 As to the first, I, for one, have always refused to call the place either "Richland Fashion Mall" or "Midtown at Forest Acres", so I'm glad to see the "classic" name back. Kahn certainly has an uphill slog ahead there though. 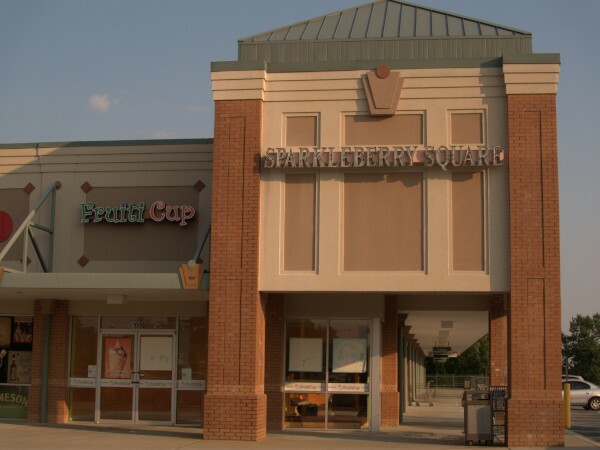 Given that even the new Village at Sandhill has had a lot of churn and ongoing vacancies, an older, already perceived as failing (because, it is failing) mall is going to have even more trouble luring tenants. I guess the obvious thing to try, as I think Sky City has suggested, would be to try to lure Macy's from Columbia Mall to the vacant Parisian or Bonwit Teller slot. Of course that would put paid to Columbia Mall so I'd rather something else happen..
As to the second, I think that after this, this, this, this, and this, I can say that Sparkleberry Square is "troubled". 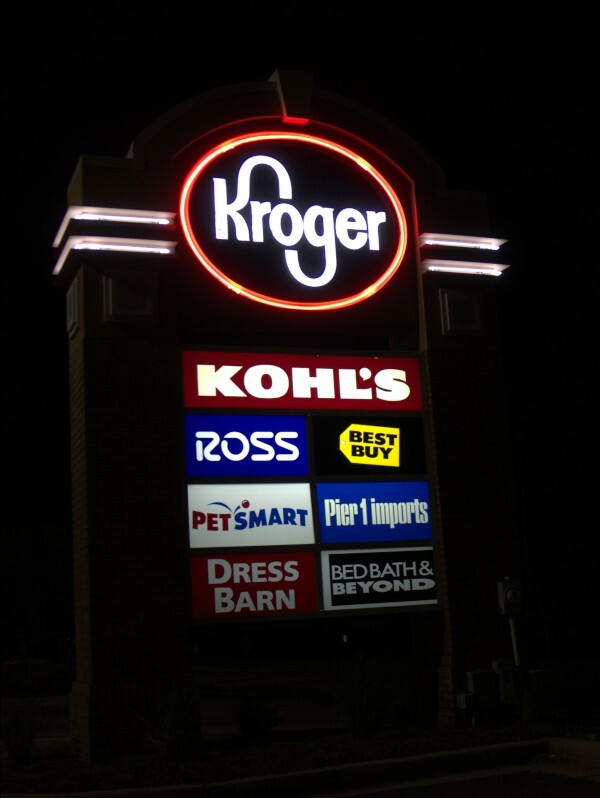 Kroger cutting its hours certainly does nothing to reverse that perception. 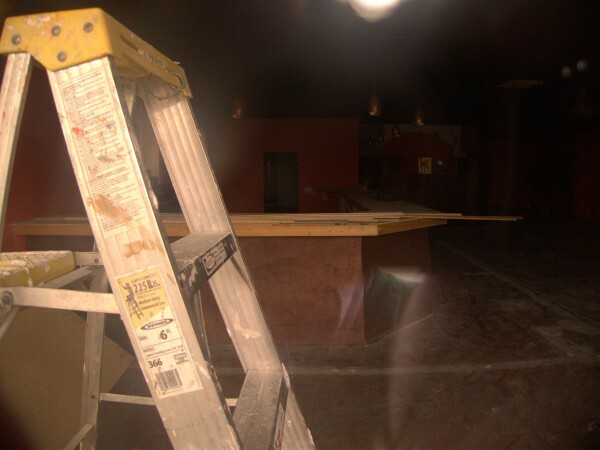 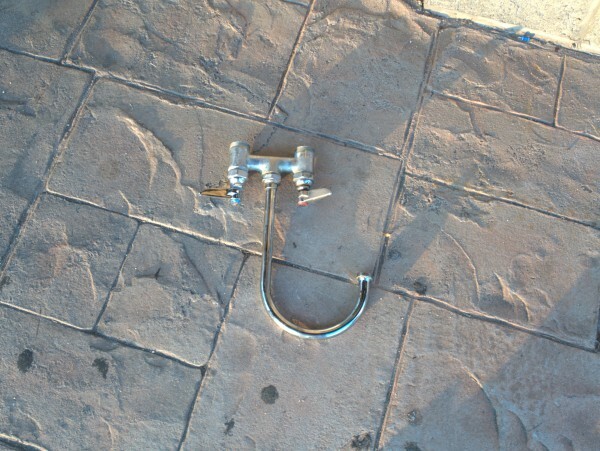 For a restaurant, it's fatal sign #1. 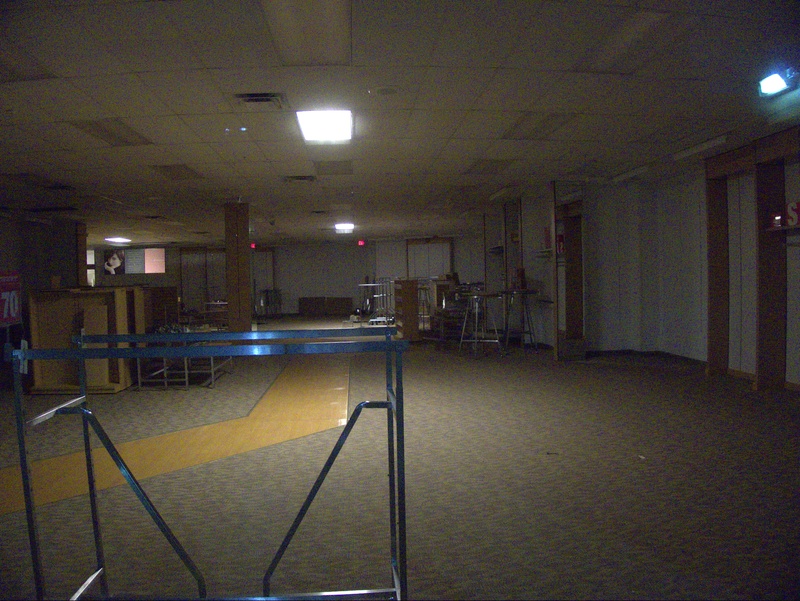 I don't think the Kroger will close, but I'll bet they're nostalgic for the rents at Decker Mall about now. 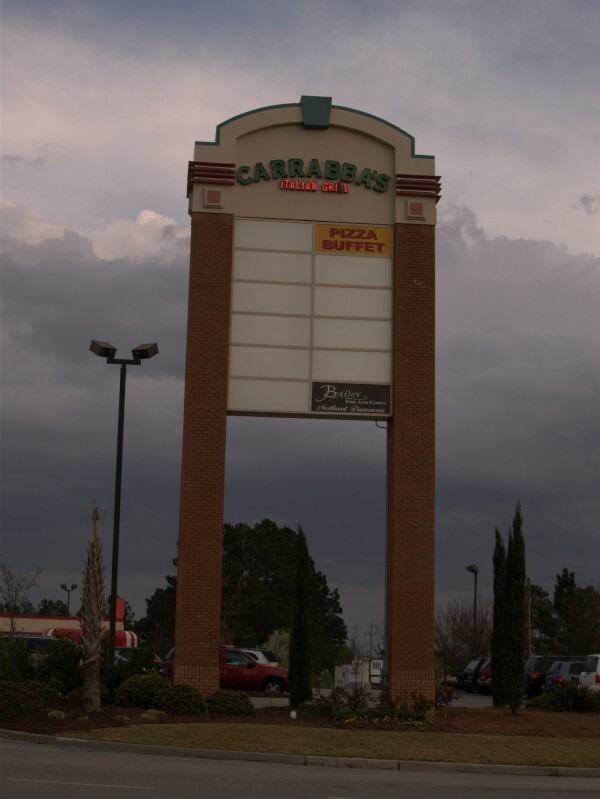 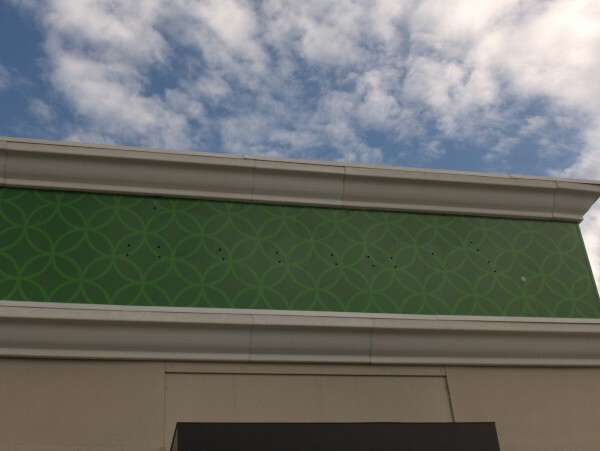 I was having lunch at Carrabba's on Sparkleberry last Sunday, and as I was leaving, noticed an almost empty signboard for the surrounding retail area. 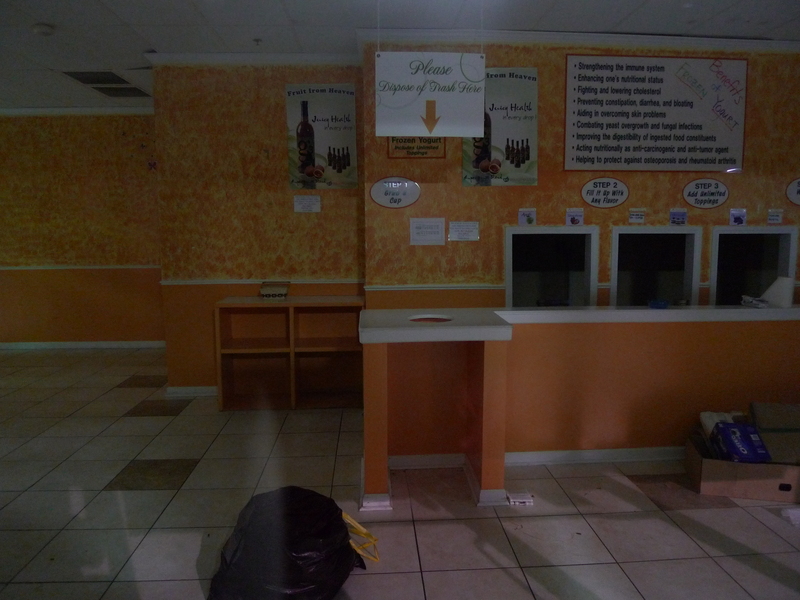 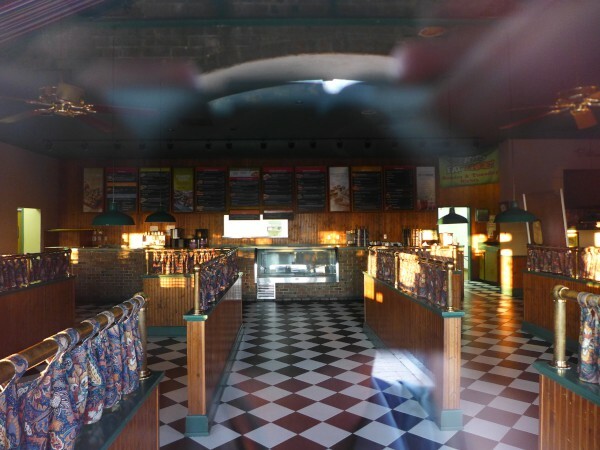 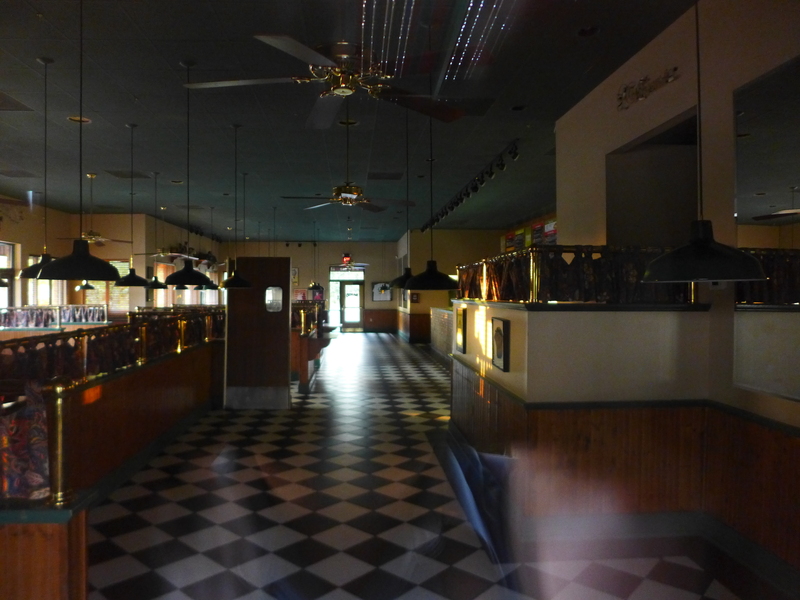 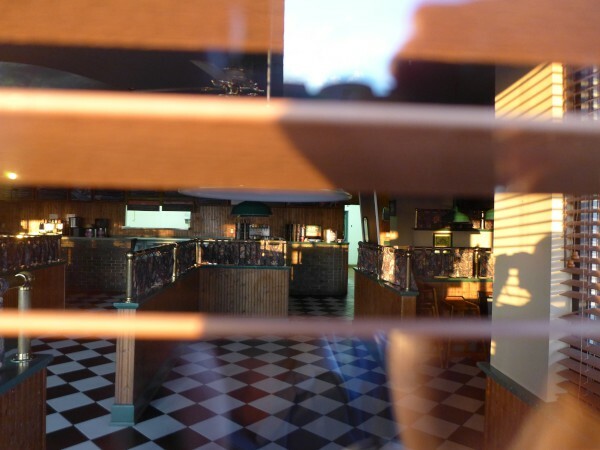 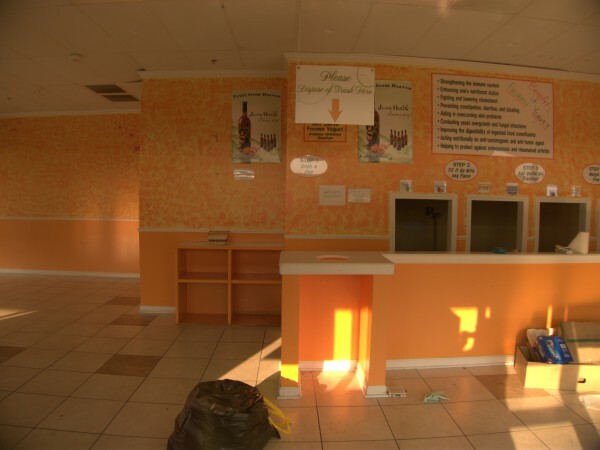 One item on the almost vacant space was Pizza Buffet, which struck me as a bit curious since it was so generic. 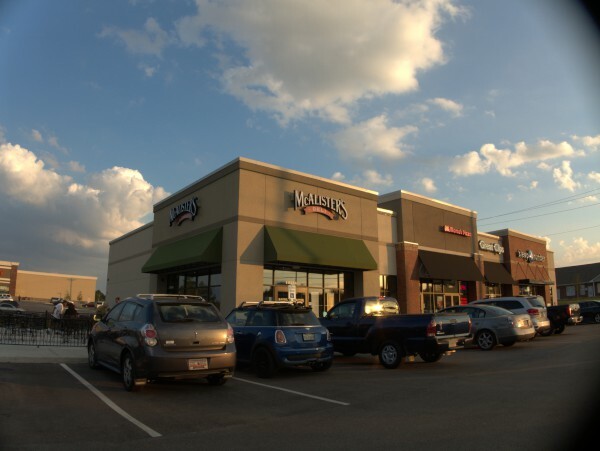 As it turns out, there is a road behind Sparkleberry Square (parallel to Two Notch) that I had never noticed before called Graces Way. 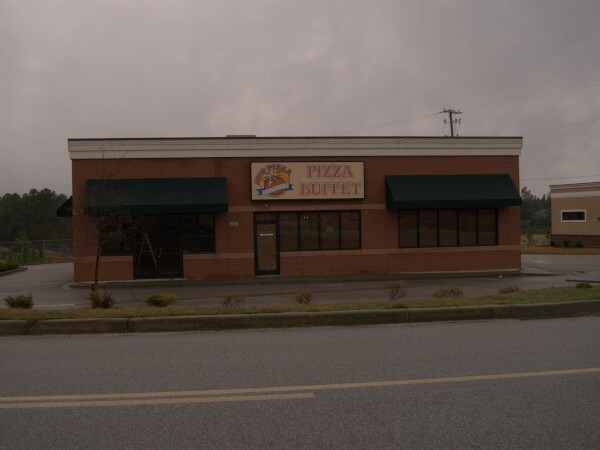 There seems to be very little on it, but that's where Pappa's Pizza To Go was. 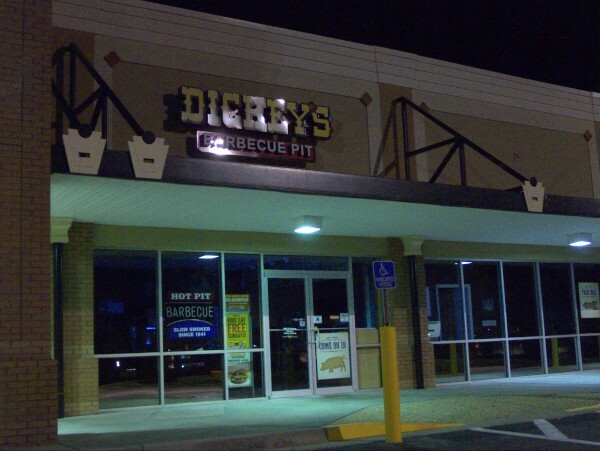 I had never heard of it, but googling around finds enough other hits that I conclude it is a chain. 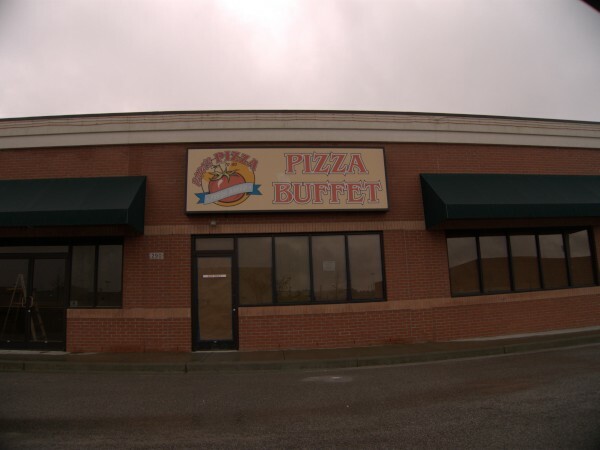 I don't generally do pizza buffets anymore since I want my pizza how I like it without having to wait for something that's even partially how I like it, so I have no idea how the pizza was there, but it seems to me they could hardly have chosen a worse location. There is no visibility from Two Notch or Sparkleberry, and the Sparkleberry signage is so small and generic as to be almost useless. 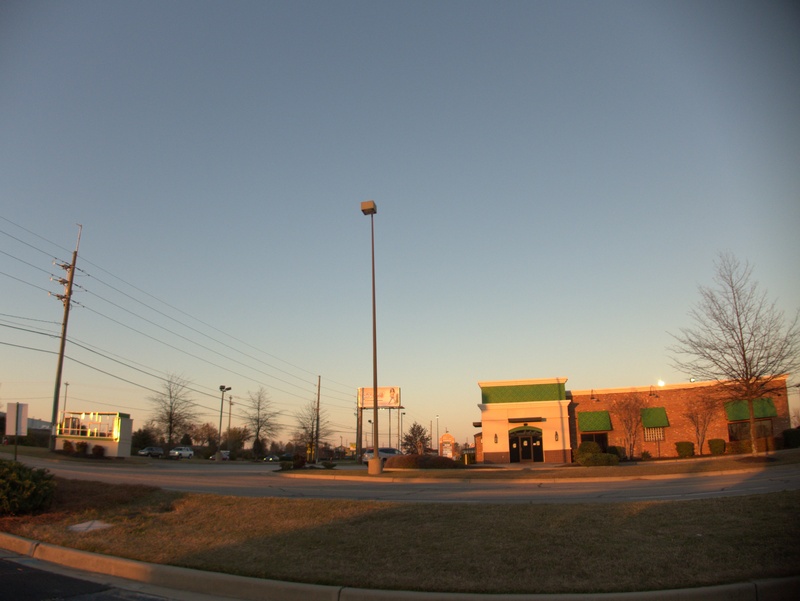 Further, while the hope may have been that Graces Way would become a fairly busy road, there is almost nothing on it, and while I was driving down it, and parked taking these pictures, no other cars went by. Granted it was a Sunday, but Carrabba's was doing a very good business. 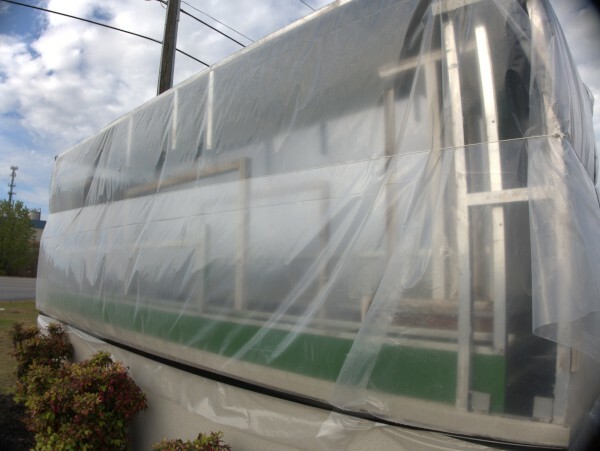 It appears they are doing interior work so perhaps something else will go in there though the location still seems chancy. 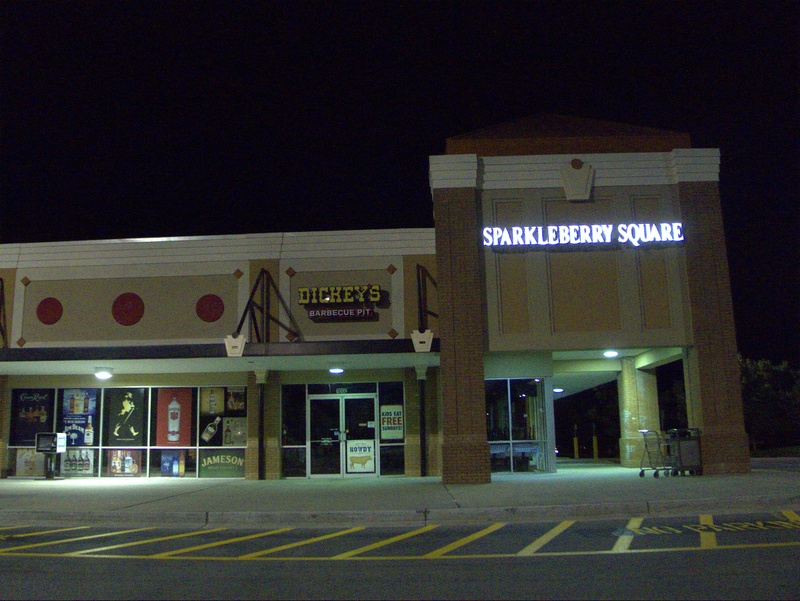 UPDATE 29 March 2010: Added picture of the Sparkleberry sign. 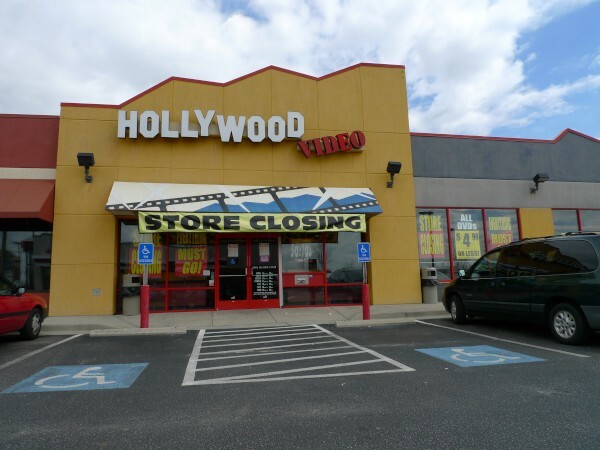 Well, I suppose it was inevitable, but the last Hollywood Video store in Columbia is closing. Previous closings for HV stores are here, here, here, and here. 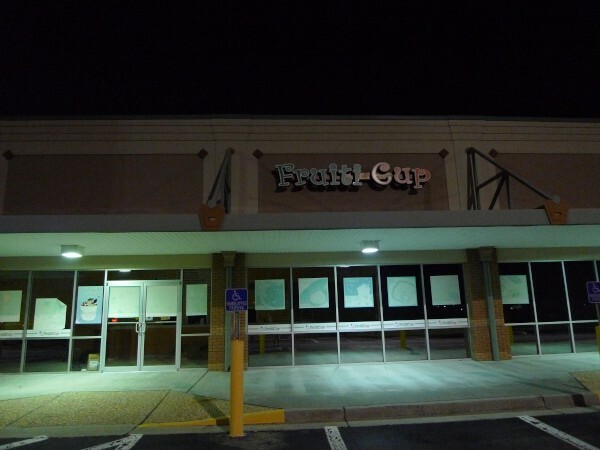 Looking at their corporate web site and using the store locator, I see that they are also behind the Movie Gallery stores and are closing a number of those in the area as well. They (and Blockbuster) are just trapped in a non-viable business model, and I don't see any way they can come out of it. Even if the economy improves, Netflix, Redbox and online video (both pirated and legal) are going to continue to eat their lunch. 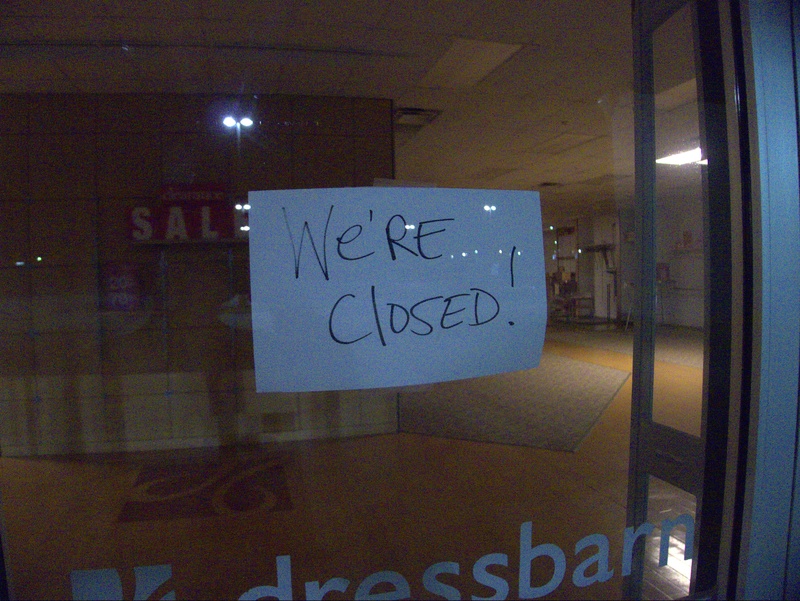 Still, you should be able to get some decent bargins there right now. 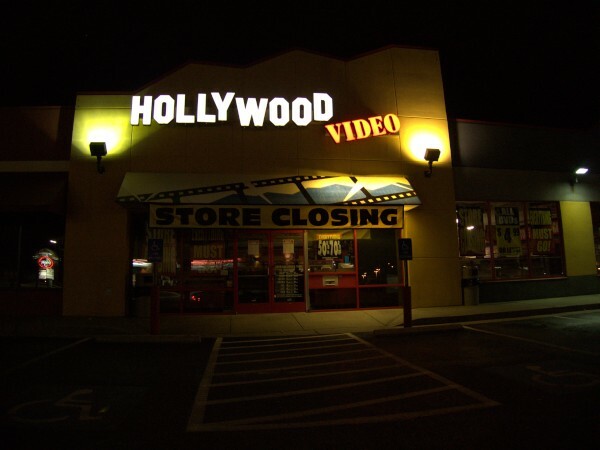 With this closing, I think the strip containing Hollywood Video, Sparkleberry Square, can be officially described as "troubled". 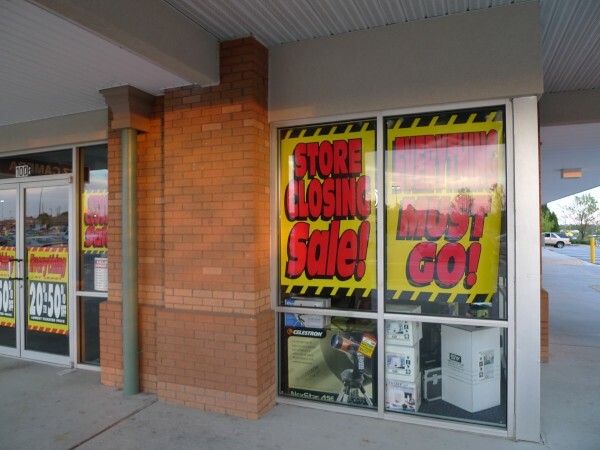 This closing is "ripped from the headlines". Well, OK -- "I noticed an article an article in The State" is a less dramatic way to say it, I suppose. Both of Columbia's S&K stores are to close due to the chain's ongoing bankruptcy. 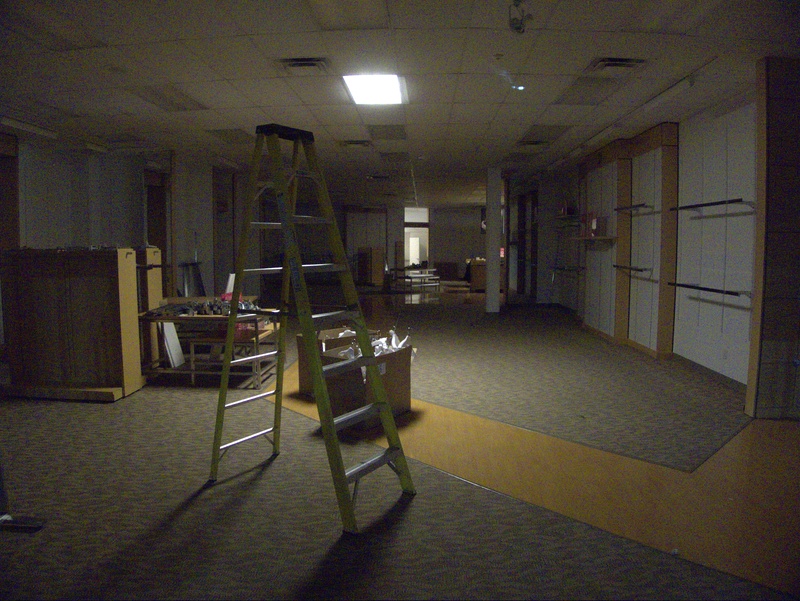 I'm not sure when the stores will actually shut their doors but we're at the end of May, so June seems like a safe bet. 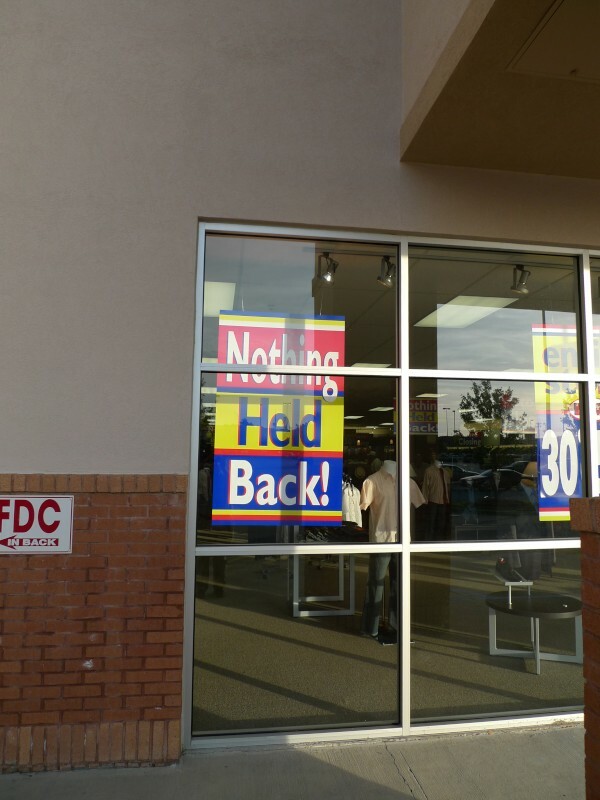 I drove down to the Two Notch store in Sparkleberry Square today, and everything is 30-50% off. 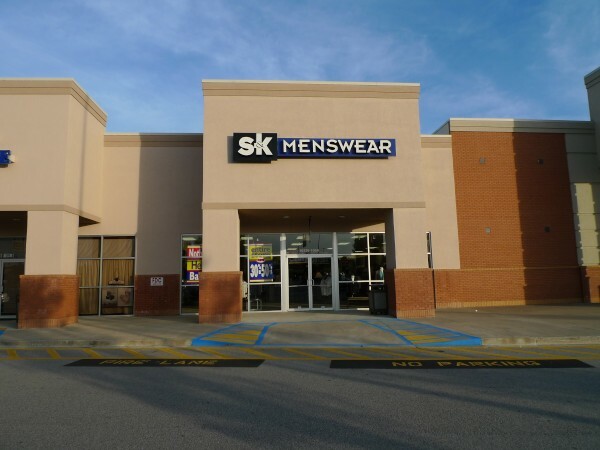 Belts, in particular, are 50% off, so I picked up a fairly nice one. The place has not yet really been picked over -- I'm sure that will come as it did for the nearby Circuit City. 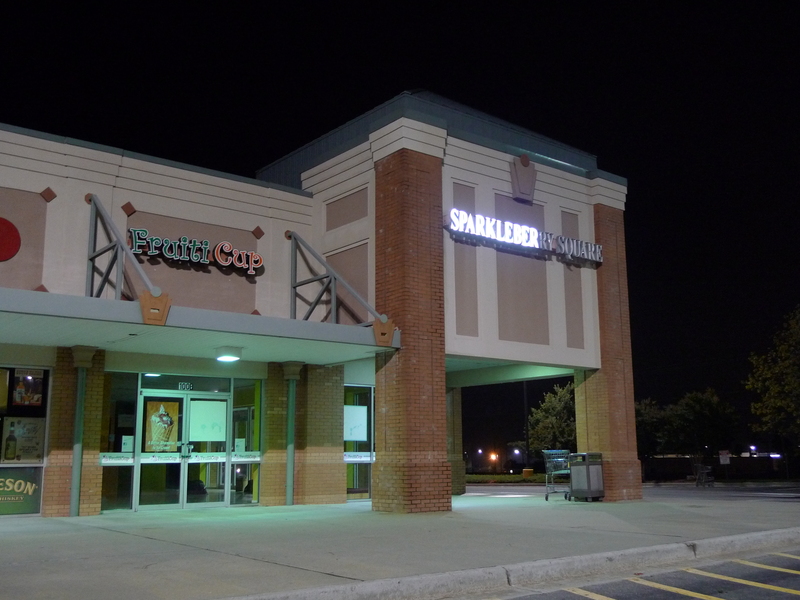 UPDATE 2 March 2011: Fixed incorrect placement of the store in Sparkleberry Crossing rather than Sparklebery Square. 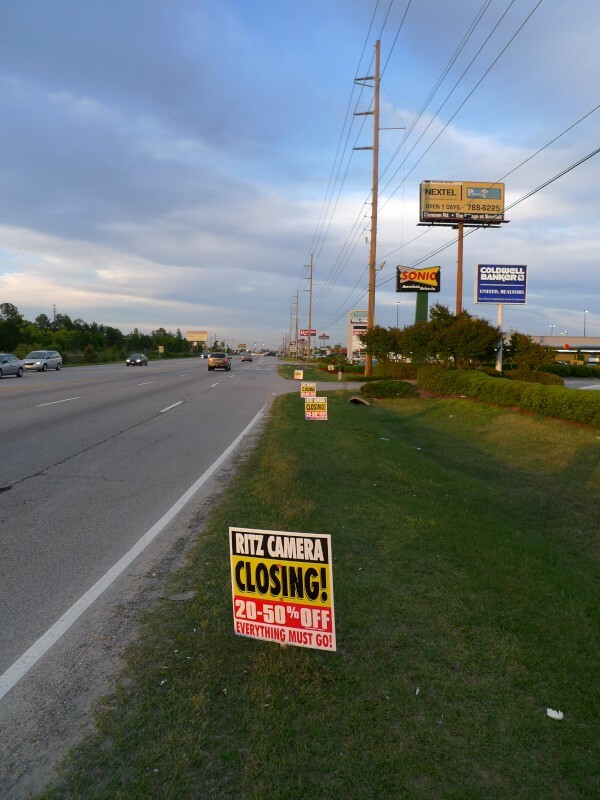 I noticed the closings signs out yesterday for this Ritz Camera location in Sparkleberry Square by Kroger on Two Notch Road. I've used Ritz and their predecessor Wolfe off and on over the years. 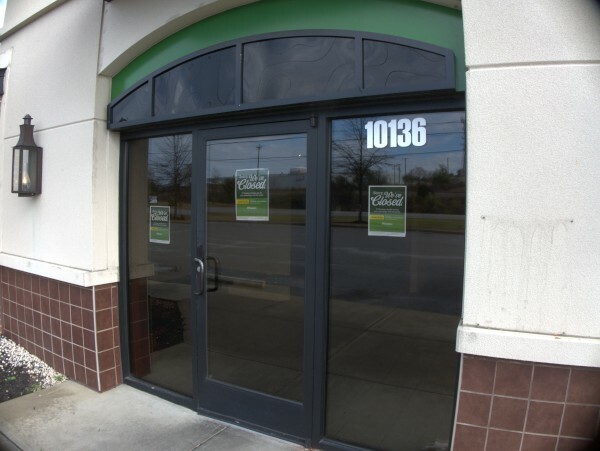 In general they seem to have a friendly and knowledgeable staff with the downside being that you sometimes get behind someone with an involved consultation when you just want to drop off some film. 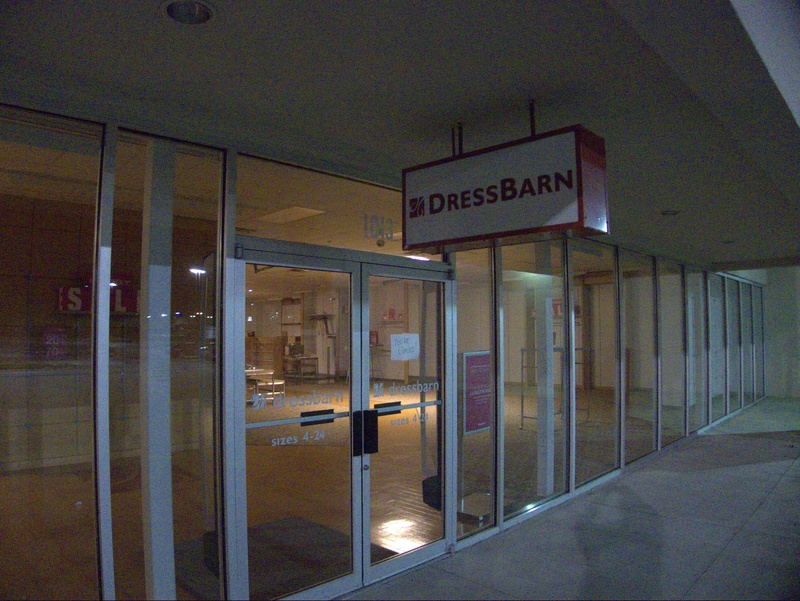 I went by today to take some pictures of the place, and maybe get a spare battery for the closing-cam. 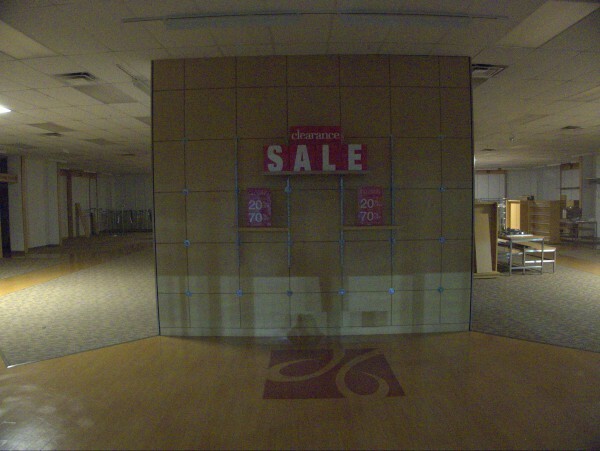 I got there too late to shop, but I'm guessing the sale will last another week or so at least. 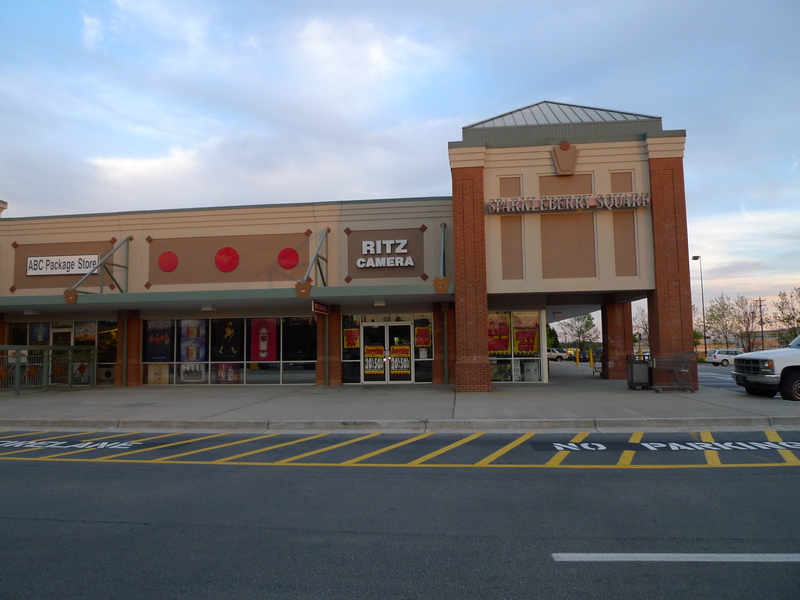 I was totally unaware that the chain had gone Chapter 11 in February -- This blog post has some of the details and a complete list of Ritz store closings. 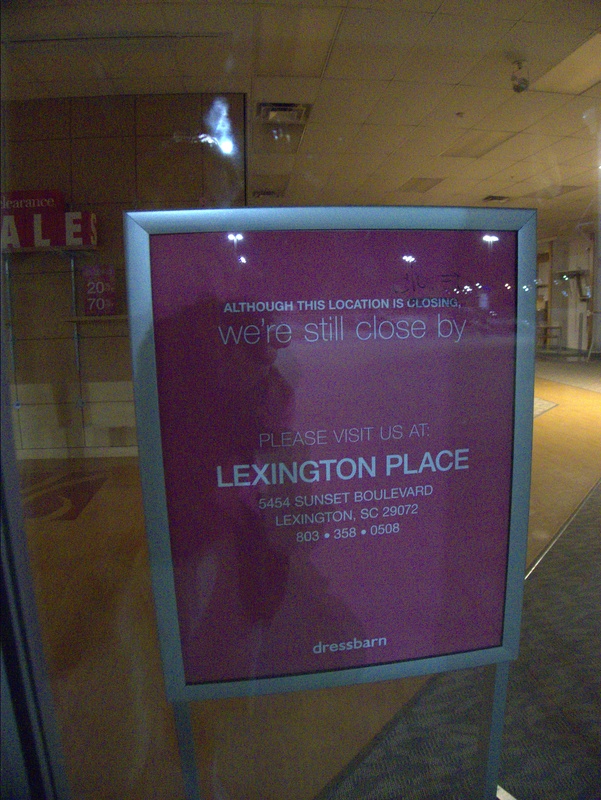 It appears that the store I normally use, on Beltline by Richland Mall, will not be closing. 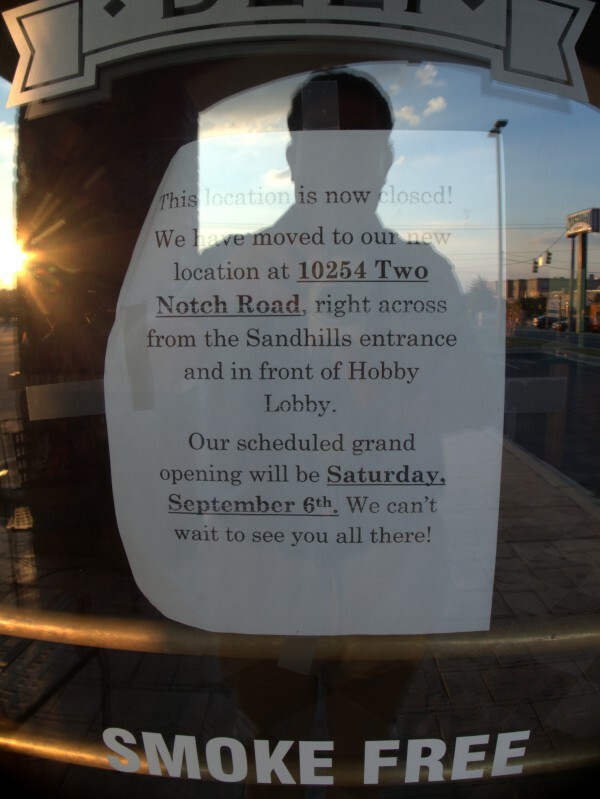 In fact, the Two Notch store seems to be the only one in Columbia on the list -- We'll see how things develop. UPDATE 26 March 2014 -- Add tags.